New Developments In Photography Can Help You Make A Niche Career--Just Find Your Specialty! It can be hard to source a good wedding photographer; couples need to know what to look for, and how to properly choose. But if you as an entrepreneur keep an eye on this area of commerce, you’re likely to find some surprising opportunities. In other words, you can find a niche career just by observing the market and acting accordingly--this is a pretty actionable takeaway. 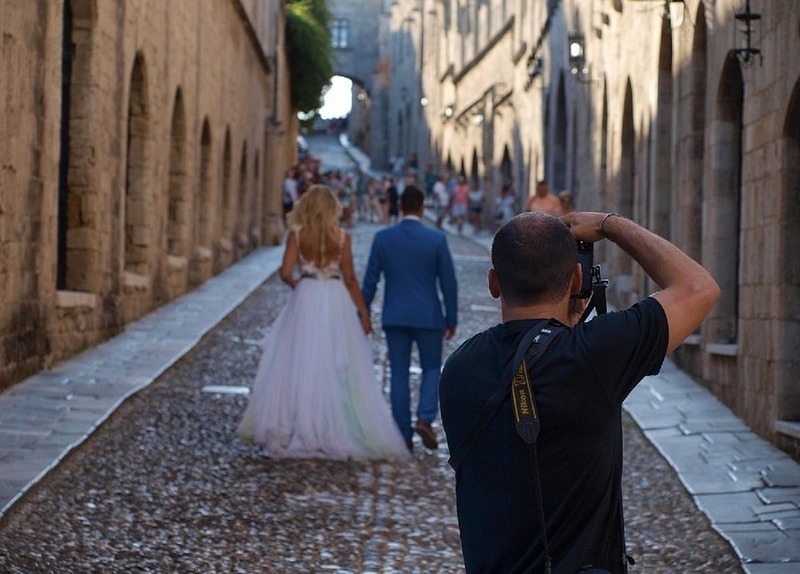 Because couples have trouble finding the wedding photographers they want, if you know how to snap some proficient stills, you could have yourself a career. All you have to do is take a few pictures the bride and groom like; they may think you have a more professional history than you do! Again, you don’t have to know all types of photography to make money in a niche. Following, several examples will be explored which demonstrate how photography has developed over time, and some of the new developments coming to characterize the industry. Making money in this way is becoming more accessible with each passing innovation! Also explored will be tips to hone your craft--for example, using older photography techniques to help focus your mind and increase the quality of your output, and practicing on models so you get a feel of how lighting works. There is a rich environment full of targets out there in many niches. You don’t have to focus on that concerned with matrimony, but it is very lucrative once you get your “feet” beneath you, as it were. After reading this, you should have some direction as pertains to practicing in the capture of some stills, and knowing to whom such practice shots should be sold. Even if they’re your friends, a couple will likely want a portfolio of your work. If you can show them how you’ve been able to work using multiple means of photo capture with real subjects that reflect marriage photography situations, that can be a strong selling point. Granted, photography isn’t something so simple as just picking up a camera and taking pictures—but it’s also not rocket science. That said, as modern technology has advanced, photographic implementation has likewise transitioned. Remember in The Matrix when Neo dodges the bullets in “bullet time”? That was done via photography. Basically, a hundred cameras were set up in a circle surrounding Neo, and they took pictures in programmed sequence to capture that slow-motion excellence. This gave us the revolutionary “bullet time” sequence so memorable today. As a scientific tool, cameras have applications many haven’t even begun to exploit. Using even a few of these to help build your portfolio right off the bat can help give gravitas to your sales pitch as you go about pursuing a niche field like wedding photography. Following is a very actionable takeaway that’s simple to effect. At Photomodeler website (source: http://www.photomodeler.com/products/how-it-works.html), you can see just how astonishing modern photography has become: “Using multiple photographs, we can compute the position of a point in a 3D space by simple geometry…” That’s pretty advanced! It’s the same kind of advance that twenty years ago would have revolutionized the industry, as it did in The Matrix. But today, you can enjoy such advances without requiring a professional, multi-million dollar film crew. What you may want to do is run a few pictures you’ve taken in your new or improvised “studio” through such photomodeling software, and include the results in your portfolio. You can also create seemingly 3-D photoscapes that you can post online. If you don’t have a website already, another actionable takeaway to help establish your niche in photography might include getting one, and posting not just your portfolio, but things which utilize the latest available tech. “Dazzle” has some weight in photography; and such measures will certainly dazzle potential clients. You don’t have to be some kind of tech wizard to become a photographer; you’ve just got to know what looks good, and strive to capture such visions with increasing success. But you’re going to need some practice! It also makes sense to work with multiple kinds of cameras. Though film is “going the way of the dinosaur”, it’s still worthwhile to learn how development works. Why? For the same reason it’s good to write a poem or a story with a pen, rather than a word processor. If you’re writing with a pen, it takes longer, and you must think more carefully about your words. With a word processor, you can copy, past, delete, etc. The art is slightly reduced, and the result lacks a quality that pen-writing can evince. The same is true with developing your own pictures as opposed to going the digital route entirely. Basically all you need is a dark room, a red light, and the proper chemicals. With digital technology, older means of photographic development are no longer so necessary; but if you really want to appreciate the craft, it makes sense to employ them. You can additionally put the results in your portfolio and list the fact that they were taken non-digitally--this makes you look more professional in whatever niche you’re aiming for. Also, if you’re capturing something like a wedding, you may want to see if there is any way you can practice beforehand. This was mentioned earlier: sometimes you’ll want to practice on a model. One of the best services you can employ in order to ensure your wedding photography looks as you imagined is Azazie.com, a site which allows you to: “Try [a dress] at home. Sample a bridesmaid dress for $10.” For ten dollars you can get the same kind of clothes you’re likely to see at any number of weddings, take pictures of them on a mannequin, and then send them back. It’s a lot cheaper than buying the garments permanently, and it looks very professional. Too, when you can sample a dress at home, you can get a clear idea of how it will appear in the photo album after the ceremony and honeymoon have come to a close. The truth is, even in the digital age, professional photographers are needed for occasions like this, and if you’re just starting out, provided you’re diligent, you can undercut established competition and make a real business for yourself. If your rates are cheaper than the photographers who have been around a while, and you’ve got a portfolio of stills from multiple photographic disciplines, this really helps you appear authoritative in your chosen niche. All these things being said, you don’t have to know every aspect of photography to be a good photographer. You don’t have to be some technological savant, you don’t have to know the chemicals necessary in antiquated development off the top of your head, all you need to do is have passion and perseverance. The tips outlined earlier in this writing can help, but they aren’t strictly necessary--you just need a goal, and the will to pursue it. Wedding photography is a great goal in this regard, and there are quite a few takeaways in this writing that can help get you started. Today’s greatest difficulties in terms of top-tier photography pertain to equipment and storage. But you can get higher and higher definition cameras for less and less expense—just consider smartphones. Such photography isn’t the type big league professionals use, but in a pinch, you may be surprised at your phone camera’s ability. Establishing a niche toehold with the actionable takeaways in this writing may take some work, but it’s straightforward enough that given time and effort, you should see the results you seek.